Ranked as one of the most glamorous and talented actresses in Kannada films, Nidhi Subbaiah has made a name for herself in Sandalwood. She has worked with renowned directors like Yograj Bhat and actors like Ramesh Arvind and has built herself a fan following, thanks to her beauty and her talent. Born on the 16th of February, 1984, in the Kodagu district of Karnataka, Nidhi is the only child of her parents, Subbaiah and Jhansi. She spent her early years in Kodagu and Mysore. Nidhi completed her schooling from St Joseph’s Central School, Mysore. She joined her Civil Engineering course in Mysore’s Sri Jayachamarajendra College of Engineering, but soon dropped out, yielding to the call of the silver screen. Nidhi was active in the National Cadet Corps in her school and college days and was a good student. Nidhi’s height (5 feet 7 inches), sharp features and confidence made her a natural for a modelling career. Her first foray into film advertisements was a commercial for Fair and Lovely face cream in 2008. She was spotted by Kannada film makers who launched her in Abhimaani in 2009. The film did not fare too well at the box office. However, she was cast in ‘Chamkaisi Chindi Udaisi’ opposite Komal and in the Telugu film ‘Sweetheart’. Her self confidence and screen presence got her an offer from Ramesh Arvind in the 2010 release ‘Krishna Nee Late Aagi Baaro’. This movie was a big hit and Nidhi’s sense of comic timing was much appreciated. Nidhi starred in the hit ‘Pancharangi’ opposite Diganth. This 2010 release, directed by Yograj Bhat, was a box office success, running to packed houses for over 50 days. The song ‘Lifeu Ishtene’ became synonymous with Nidhi and Diganth. The 2011 ‘Krishnan Marriage Story’, directed by Shashank and starring Nidhi opposite Ajay was released in July. This film has been compared to Bollywood’s Yash Raj movies in terms of its story line and production values. The movie was partly shot in Thailand and has gone on to be a box office success. Nidhi has taken up the role of the Event Ambassador of the Celebration Mysore Marathon. This event is scheduled to be held at Mysore on the 2nd of October, 2011. On her return from Thailand after shooting for ‘Krishnan Marriage Story’, Nidhi raised the issue of discrepancy in remuneration in the Kannada Film Industry. According to Nidhi, female actors get 30 per cent of the pay that a male actor commands per film. 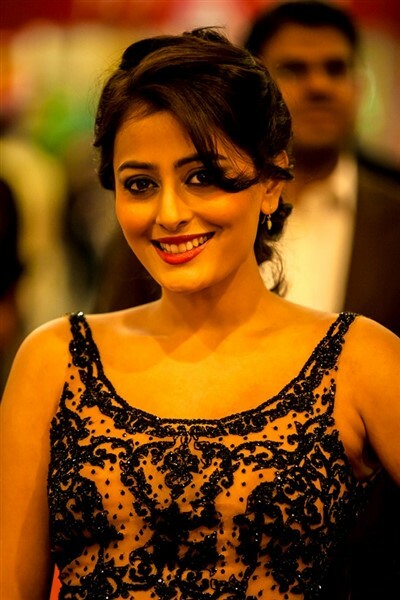 In an interview, Nidhi hoped that the issue would be addressed soon by the Kannada Film fraternity. Nidhi is multilingual, being adept at Kannada and English. She has a glamorous presence and is touted as one of the starts who can make it big in the Hindi film industry.